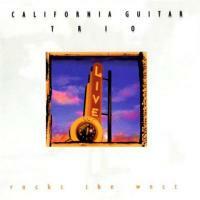 CGT Rocks the West features live performances on tour with Tony Levin during the Fall Tour 1999. Beethoven's Symphony No. 9, Bohemian Rhapsody, and the 17th century traditional Japanese piece, Rokudan are played with exquisite craftsmanship.